Don't lose another online customer! Users can apply for TimePayment financing directly from your website. Chances are, you have online customers abandoning their purchases every day when they realize they don’t have the funding to afford your equipment. But now you can offer those customers a quick and convenient way to complete the sale. By adding one of our integration solutions to your website, you can provide your customers with the wide range of financing options available through TimePayment. Clicking one of our links will let your customers quickly and easily apply for the financing they need to purchase your equipment. Customers can fill out the online application in minutes and receive a credit decision in seconds! Which web solution is right for your business? Whether you sell equipment to consumers or businesses, every industry is expanding their online sales options. To support those critical growth opportunities, TimePayment offers sales enablement tools that are aligned with every vendors' stage of eCommerce and web development. Whether your business is just starting to build your online presence (or has not even begun), TimePayment has solutions that can provide support for your customers. Website Integrations Are Fast & Easy! Learn more about integration options, and submit your request below. Step 1: Complete the request form below to select desired integrations. Step 2: Receive Welcome Kit, containing everything needed for installation. Step 3: Add links and/or embed code to your website. If you need help, just ask! Step 4: Manage your customers’ applications via InfoHub™ dealer portal. Integrate your website with TimePayment’s instant credit decisioning engine using one or more of the options available in our suite of eCommerce solutions, EasyApply™, SmartApply™, or CartApply™, and TimePayment will create a co-branded customer finance application featuring your company logo. Link directly to your customer finance application(s) from virtually anywhere on your website (or via email). Or you can link to an introductory “About Financing” webpage (see below) that will explain the benefits of leasing to your customers before they apply. Our one-page application is easy to fill out on any device (desktop, or mobile devices) and your customers will receive instant credit decisions for purchases under $10K. For purchases over $10K, decisions may take up to four business hours. An educated customer is a confident customer. Our “About Financing” landing pages help your customers learn a little bit more about their financing and leasing options before completing their applications. These optional landing pages also feature your company logo and the contact information for TimePayment support services. Even if you do not have a website, we can create a cobranded “About Financing” landing page and customer finance applications for your company that you can link to via email or include in printed collateral. Simply select this option when submitting your request. Putting an EasyApply button on your web pages reminds customers how easy it is for them to finance their purchases. EasyApply buttons come in a variety of designs. Choose the perfect color and messaging to fit your look and sales pitch. Place buttons in your website head or footer, on your product pages, and more! Don’t make financing hard for your customers to find on your website. Choose an eye-catching promotional banner from our gallery. Our ready-made banners offer a variety of designs, colors, and messaging. In online sales, affordability is key to keeping your customer engaged and moving forward with a purchase. 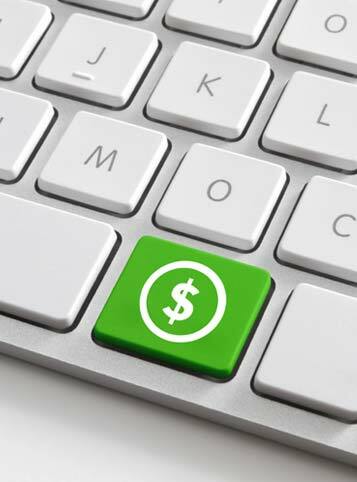 By highlighting just how affordable your equipment can be and offering customers a simple, online financing resource, you’ll have a complete online sales solution that’s a true winner. TimePayment’s SmartApply application enriches your eCommerce display. It provides a direct link to a financing application that is already pre-populated with the selected equipment price and product descriptions, making it even easier to complete online purchases. SmartApply will automatically calculate and display an “As Low As” price on your eligible products to provide your customers with the most complete view of product purchase options possible. CartApply, TimePayment’s eCommerce shopping cart payment financing solution, provides enhanced features to your checkout process. Customers are provided with an “as low as” payment estimate for the entire contents of the shopping cart. And for purchases over $500, they can access a lease application that is automatically populated with the entire contents of their shopping cart. CartApply is compatible with EasyApply and SmartApply, as well as major eCommerce platforms such as WooCommerce, Magento, Shopify, osCommerce, Squarespace, nsCommerceSpace, OpenCart, Volusion, BigCommerce, 3Dcart, as well as most custom platforms. No website or online pricing? No problem! If you choose not to post equipment pricing information on your website, EasyApply can still help you increase your sales. Simply email the EasyApply link to customers who are interested in a monthly payment financing option. Link directly to the customer finance application or to an “About Financing” landing page. Never lose track of a deal again! Once your customer completes a lease application, their information will be processed using our proprietary credit scoring system. The results will then be shared with you and your customer via email. Further information will be available within your TimePayment InfoHub dashboard. Enable your sales team with tools to close more deals, and the ability to offer affordable financing. InfoHub™ Dealer Portal: Our online portal for submitting and tracking financing applications. QuickQuote™ Lease Calculator: Easily show customers what an estimated monthly payment might be, without having to log into TimePayment InfoHub or acquire your customer’s personal information. Try the QuickQuote Calculator Now! ReadyDocs: Once you have a completed application, you can access your customer’s credit decisions and initiate the creation of the necessary lease documents to complete documentation and signature process online in just seconds. Ready to get started? Complete the form below to submit your website integration request. Click the “Request Website Integration” button to submit your request. You will be redirected to DocuSign to complete this request with your eSignature.